I have dined at One Family Korean Restaurant (known as Pine Tree Karaoke Cafe until 2010) for about 3 years now. Regarded by many as the best Korean restaurant in Tampa Bay and after searching high and low myself, I have to agree. One Family offers reasonable prices for dishes in comparison to the Korean price inflation found at several other restaurants in town. Their lunch prices stay around $10 as well and even dinner is a bargain. The side dishes are not as plentiful as Rice Restaurant and Lounge, but One Family provide the essentials. One Family is found in a Korean plaza on Hillsborough Avenue (right past some yellow flashing street lights) and is right next door to a Korean grocery store called S-Mart 1. The restaurant is easy to miss if you don’t look out for buildings with Korean writing. I came for dinner and split a few entrees with friends. We ordered 해물파전 (Haemul Pajeon) for $10.99, 돌솥비빔밥 (Dolsot Bibimbap) for $11.99, 불 고 기 (Bulgogi) for $14.99, and 갈 비 (Galbi) for $16.99. Normally we would be fine just with one appetizer and a main course, but we wanted to have a variety of things during this dinner. The price was still reasonable when split. Some places charge over $20 for Galbi, believe it or not. 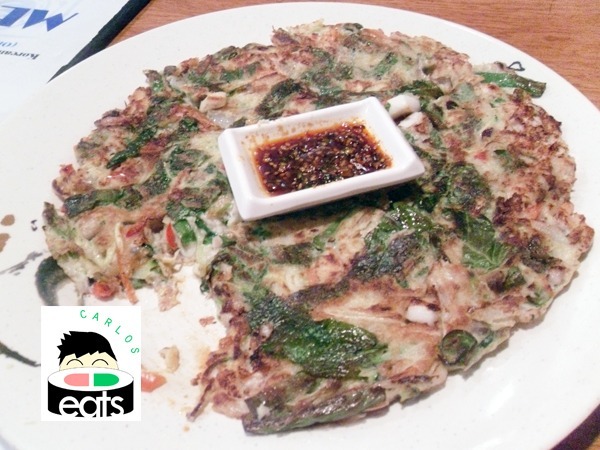 The first thing to arrive was our appetizer: 해물파전 (Haemul Pajeon) or Seafood Pancake. The pancake was great! It is perhaps one of the best seafood pancakes I have had in the Tampa Bay area. The sauce in the middle is a spicy sauce, but actually edible for sensitive diners, unlike the one at Sa Ri One that almost burned my tongue off. The ingredients inside were cooked well. I was excited when the dish arrived and accidentally ate a piece before I could snap a photograph. 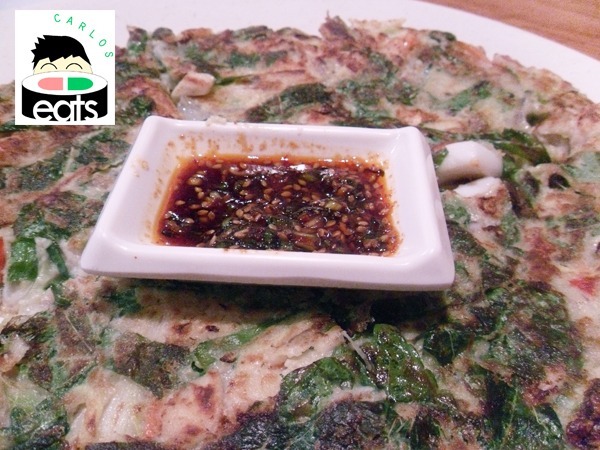 The Haemul Pajeon went quick, but it was quite filling as a start and it is important to share this dish because you get tired of the seafood taste after a few pieces. 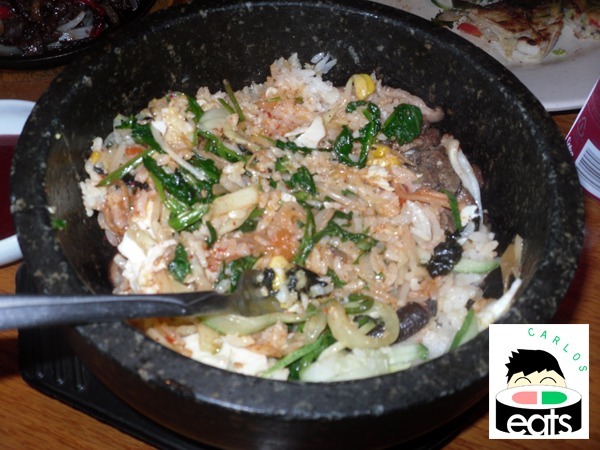 The 돌솥비빔밥 (Dolsot Bibimbap) is one of my favorite dishes at One Family. It is a hot stone bowl filled with steamed rice and topped with ground beef, vegetables, and a sunny side up egg. They also give you spicy sauce on the side. This entree is AMAZING. You can still hear all the ingredients in the hot stone bowl cooking when it comes out. Break your egg and mix the ingredients to begin a delightful tasting adventure. I mix the bibimbap with everything I eat. You will find yourself attempting to finish the bowl, but there is so much food packed in that I have found it to be almost impossible. It is only $1 extra to upgrade from regular bibimbap to the stone bowl so I always upgrade. It just tastes better that way. 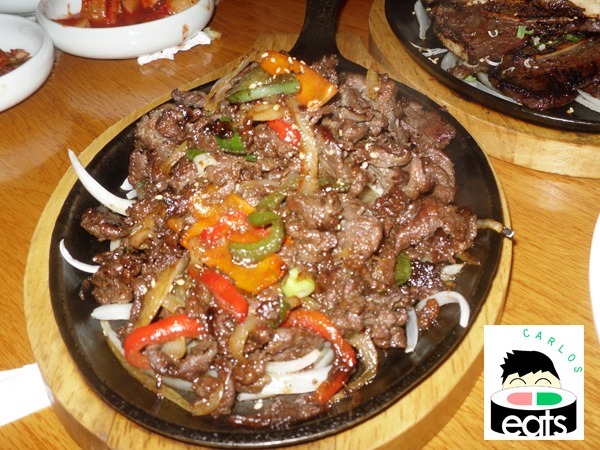 The 불 고 기 (Bulgogi) or marinated grilled beef with vegetables came out on a sizzling skillet. I found the beef to be perfectly tender and full of flavor. Superior to Soul of Korea, but still not quite the flavor Sa Ri One on South Dale Mabry has. The price is about the same as Sa Ri One, but I think the portion here was much larger and better for sharing with friends or family members (The one at Sa Ri One was just for one). I enjoyed the beef and felt it was worth the price. Ah…The 갈 비 (Galbi)! 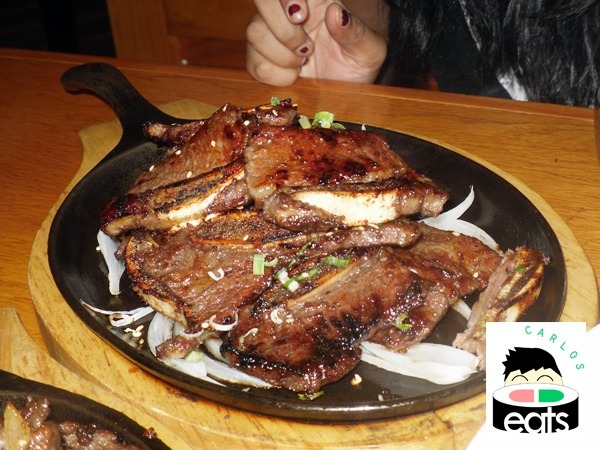 Galbi is one of my favorite Korean dishes and One Family makes delicious pieces of Korean short ribs. Each piece leaves a savory aftertaste and you will be licking the bone. The pieces were huge and the price is reasonable when compared to the crazy $20+ prices at other restaurants, such as Matoi Sushi. I have love for the Galbi at Pacific Grill in Valrico, but for Tampa residents the Galbi at One Family is the best bang for your buck. The waitress was attentive, but nothing to brag about. She came and brought our food and went on her way. Stopped by for some refills throughout our meal. Most of the waitresses are young Korean girls, probably daughters or family friends of the owners. Most patrons are Korean here as well. The restaurant is nicely decorated, quiant, and feels like it took a slice out of Korea. Overall, One Family Korea is a great and affordable Korean restaurant and my personal favorite in Tampa Bay. After our meal we decided to sing some karaoke upstairs. It was $25 an hour. Split between friends it isn’t so bad and the price is on-par with Korean karaoke spot Tampa Karaoke, though the English song-list was a bit lacking to Tampa Karaoke’s frequently updated list. 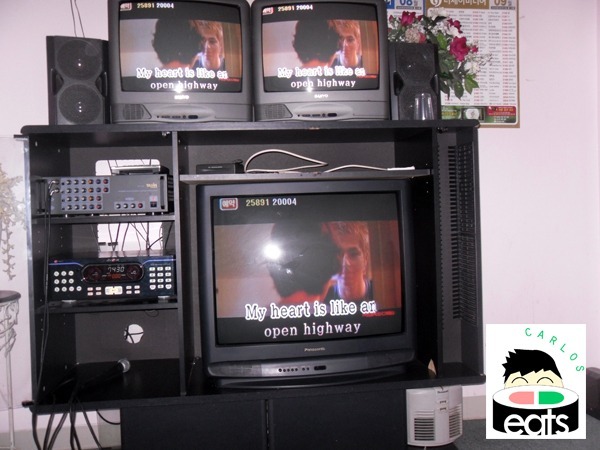 The funniest song to karaoke was “My Heart Will Go On” by Celine Dion :). The appetizer looks very pizzaish. I thought it was Korean pizza at first. Like the idea of combo korean food and karaoke. It is sort of like Korean pizza, except made out of seafood…although Koreans have a completely different take on what we call pizza. Thanks for the review. It’s a long drive into Tampa for me and don’t want to waste my time on a bad experience. Never had Haemul Pajeon, I’ll give that a try! Also, $17 for Kalbi isn’t bad at all. It’s about $30 in NYC, but of course that’s to be expected there! You should def. try Haemul Pajeon and haha yes I would expect everything to be more expensive in NYC =p unless you’re hitting hole-in-the-walls.